Facelifted sports cars to get new four-cylinder turbo engines, while 718 Boxster will sit above the 718 Cayman in the new model range. Porsche has confirmed the facelifted Boxster and Cayman will be powered by four-cylinder turbocharged engines, while both models will be known as the 718 Boxster and 718 Cayman respectively when they arrive next year. 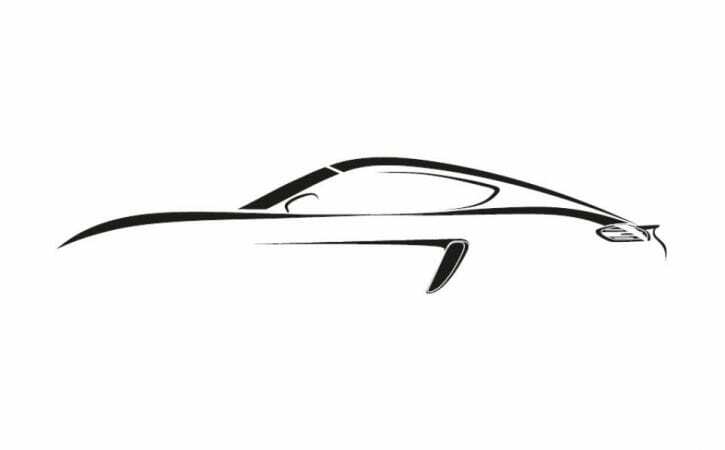 The new name is a reference to the Porsche 718 of the 1950s. It was the successor to the 550 Spyder and used four-cylinder engines with great success – a 718 RSK won its class at the 1958 24 Hours of Le Mans endurance race. As well as the name change the range has also be reversed too – just like the 911 range, the drop-top Boxster will be positioned above the hardtop Cayman. Porsche has made the switch as both cars already offer technical similarities and in the future both will have equally powerful engines. The new flat-four turbo engines have been introduced in a move to drive down CO2 emissions, the Stuttgart-based sports car firm will introduce turbocharged flat-four boxer engines for the first time in the Cayman and Boxster. Boxster and Cayman boss Dr Stefan Wechbach told Auto Express at the Frankfurt Motor Show the move to smaller capacity turbocharged engines has been prompted by emissions, although turbo engines will: “offer the advantages our customers want: performance, acceleration, high speed and torque”. It’s unclear whether Porsche will continue to offer six-cylinder engines in the Cayman and Boxster range, but Wechbach hinted feedback on the existing Cayman GT4 and Boxster Spyder’s 3.8-litre naturally aspirated engine was “overwhelming”. Porsche is believed to be considering continuing to offer six-cylinder engines for the hottest variants of the new Cayman and Boxster.